Unwanted sales and illegal robocalls can be annoying at best. If you have noticed an increase in the amount of calls you are receiving, you may need to re-register your telephone number (s) with DoNotCall.gov. Two free ways to register – (1) Call 1-888-382-1222 from the phone you want to register or (2) visit donotcall.gov online. Once you have registered online you will receive a confirmation email. Click on the link provided in the email to complete the registration. 24 Hours/31 Days – Once your number is registered it will show up on the registry the next day. However, most sales calls will stop after your number has been on the registry for 31 days. To verify if your number is on the Registry you can call 1-888-382-1222 or visit donotcall.gov. Remember: This does not stop all calls. The donotcall.gov registry prohibits sales calls. 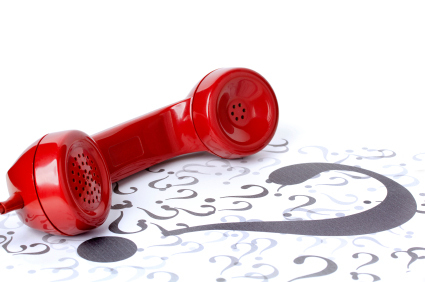 You may still receive political, charity request, debt collection and survey calls. Illegal Robocalls – If you receive one of these calls Do Not interact in any way. Pressing buttons, or asking to talk to a live person, could lead to more unwanted calls. Please hang up and file a complaint with the FTC. To file a complaint with the FTC visit https://complaints.donotcall.gov/complaintcheck.aspx.